Item number 551/3 a-b from the MOA: University of British Columbia. 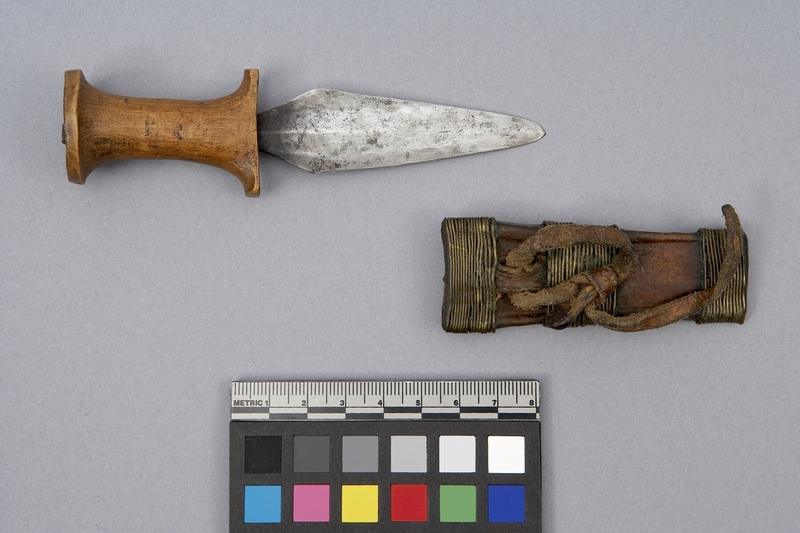 The knife (part a) has a light brown wood handle which has a circular base, a cylindrical hand-grip, and a t-shaped guard from which the metal blade tapers slightly and then becomes a blunt point sharpened at both edges and sides. 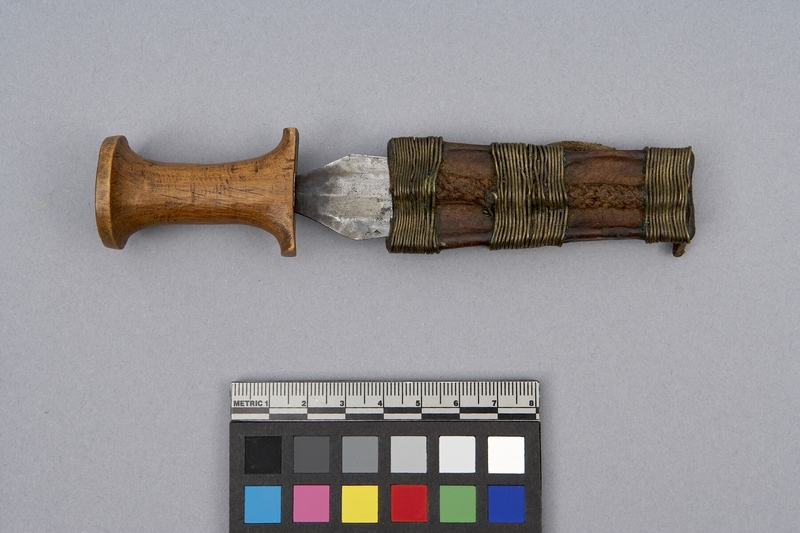 The sheath (part b) is made of skin with a piece of skin tie at the back, and it is partially covered with three rows of wire metal, two at either ends and one in the middle.